Firstly, I would like to thank Cath Rau and Ted Glynn who inspired my thinking around homework back in 2008. 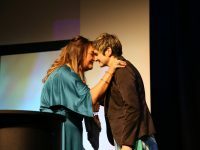 I also want to acknowledge matua Hurae White a friend and colleague who has influenced some of the ngohe/activities. 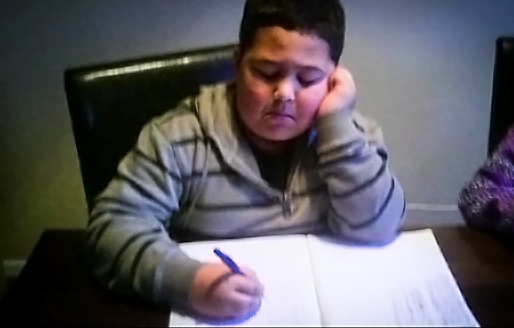 The homework grid or papa mahi kāinga ā-ipurangi is an online alternative to homework. 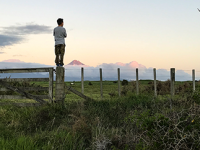 The main purpose of this blog post is to support kaiako teaching in Māori medium settings in the primary sector. However, please note this same resource can be easily created for children learning any language and at any level. An example of this tool can be found at the end of this blog. Teaching in bilingual settings can be a struggle when one is bound by school policies and a whole lot of hard questions like: What language should I target? Māori, English, or both? How much of the target language should I use? What if the parents/caregivers don’t know te reo or the content to support their child at home? Should I set content below, at or above the understanding of the child? These are some questions I have asked myself when teaching in a junior rūmaki (full immersion) situation. One of the most difficult things I have battled with over the years is trying my hardest to support five year olds learning te reo as a second language when they are quite often the only speakers of te reo Māori in their family or household. Have you ever tried to help your own child/ren with their homework, to realise you do not have the skill or knowledge to support? Do you believe homework is a ‘link’ between home and school? From your experience, does homework promote happiness or headaches? In my experience as a teacher and a mother, homework has been a tiresome journey. Giving weekly homework became a chore and I found myself giving it because it was the expectation of the school. I remember the day that I heard about the homework myth stating the notion that homework failed children. I became really annoyed and frustrated because I would spend hours creating, marking, and chasing up homework. In a lot of cases incomplete or non-returned homework came with creative yet not so original excuses like, ‘It was eaten by the dog', or 'left in a wet bag', or that 'siblings who had drawn all over it or ripped it up'! I found myself questioning the relevance of giving homework if I was failing students? I started to really question the purpose of everything I sent home. 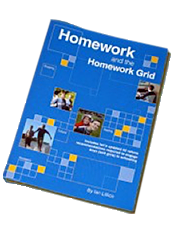 In 2008 I discovered the homework grid which I trialled and it proved to be successful! Pink (2009) has a quick and easy three-part test for teachers to gauge whether the homework they give is truly helping children engage or to note whether teachers are actually stealing children’s free time? Am I offering students autonomy over how and when to do their homework? Does the homework promote mastery or something meaningful? Do my students understand the purpose of their homework? If your answer to any of these questions is “No”, then the result of your homework may be a meaningless exercise or what could be termed as ‘busy work’ and ‘time wasting’. Furthermore, you may not be aware that you could be promoting disengagement at home and at school. An example of this is when children who complete tasks at home because they ‘have to’ and not because they want to. Negative consequences from home and school follow; Not to mention the numerous arguments some families battle, which often become the normal routine. Thus, no real learning occurs, but instead homework headaches are created. I believe with a little thought and effort we can turn homework into home learning. An example of this could be a child teaching their parent or caregiver a song, a game or a strategy they have recently learnt. This type of sharing supports dialogue, communication and relationships in the home. 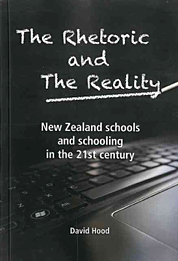 The Rhetoric and The Reality (Hood, 2015) promotes public debate about the current secondary schooling system in New Zealand. Hood stated that not even the threat of detention persuaded him to conform to homework, as there were more interesting things to do after school. How many of us have experienced this? Hood only gave homework to consolidate what had previously been taught; assignments took a few weeks to accomplish and these assignments were always returned with quality feedback to his students. Hood cites John Hattie’s research which says “…. the correlation between doing homework and achievement is insignificant” (Hood, 2015, p.67). Hood challenges schools, teachers, and communities to be honest with senior management regarding such concerns and seek innovative ways to better this. If a child does not know the skill of reading and or reading te reo at school then they’re not going to know how to do that at home. This applies to other tasks like maths, spelling etc. Parents/Caregivers may not know te reo and if they do, sometimes they judge the reo capability of the kaiako based on the homework provided. What language should be used to set homework? Target language? Or English? Or both? School work should be done at school and not at home, as most children just want to play. Parents/Caregivers may not know how to help with specific content like maths. Where should the teacher pitch the homework? The level of the child or above? The parents? Or provide two levels of homework to cater for the different needs? Children may have too many extra curricula activities after school and have no time to complete homework, which at times causes lots of stress for the child. Some parents want busy work to keep their children quiet after school. Who will support the child at home with language and or content? Kei hea te rongoā? Where is a solution? The concept is based on Ian Lillico’s research of more than 25 years, where he searched for better ways to engage boys through more practical and hands on approach to learning. Originally the homework grid was given as paper tasks either in a homework book. However this day in age, what can be done on paper can be done online, so why not try and create your own homework grid to support home learning. Why is this type of homework successful? How do you create your own homework grid? Feel free to MAKE A COPY from my example and start from there. This example was created to suit a junior rūmaki classroom of years 1-2 students. The same idea can be used for any language or year group. The activities will need to be set according to the children in your class. It is so easy to create. I used Google slides. I also added a monitoring sheet for reading and a monitoring sheet for kete kupu to show evidence of what students had read and completed at home. This is by choice. Children monitor their own work by dating and marking off the task as they complete it and parents can validate their work also. Change it up every 2-3 weeks, depending on your students of course. The amount of activities and choices, including curriculum areas are up to you and your class (you may want to only have 9 squares) Keep this manageable for all parties. The activities should be negotiated with the tamariki and their caregivers/parents so that everyone knows what to do and how to do it. You may need to create a video of yourself explaining how to do certain tasks so there is no guess work that needs to happen when children return home. If you have certain skills and strategies you want the children to know and learn you may want to consider creating a re-windable video of yourself teaching the task, then the child can watch and rewatch content at their own pace and as many times as they need. All you need to know is how to insert a link into the grid if you are inserting youtube clips or other content like google docs. Remember Daniel Pink’s three-part test for homework to promote autonomy, mastery, and purpose? Have a go at creating your own homework learning grid! Besides what is the worst that could happen? Rosalie Reiri has been teaching for 11 years in rūmaki (immersion) because she is passionate about Māori education, culture, and "our heritage language". For the past few years, Rosalie has worked in the richly diverse environment of South Auckland, where her love and appreciation for culture and reo also extended to those from the Pacific Islands. She has recently completed a dissertation: "How to build a community of successful Māori learners in a decile one school". Mahi tika ana. Mahi rangatira ēnei. Ngā mihi. 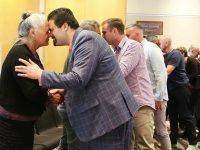 E tika ana kia whai whakaaro nui ki te akonga. Mehemea ka taimaha ke te akonga na te ahua o nga mahi kua whakaritea hei mahi kainga maana, he aha te pai o tera ? How can we as kaiako best encourage students to develop a strong sense of inquiry into learning stuff that will benefit them, to contribute to their wholistic wellbeing, the wellbeing of others and the world in which we live ?